Find Box Tops coupons on hundreds of your favorite products. 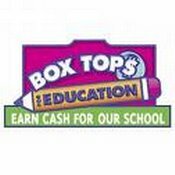 Each Box Top coupon is worth 10¢ for our school. Turn in your Box Tops coupons. Our school will collect the Box Tops and send them to Box Tops for Education.